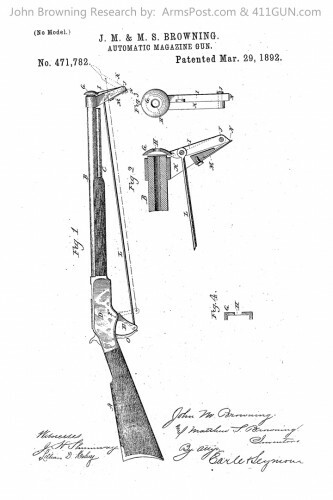 On March 29th, 1892 John Moses Browning was granted US Patent 471782. This patent was applied for on January 6th, 1890. The patent was for an Automatic Magazine Gun. This was part of a trio that were all approved on March 29th of 1892.